In the old days I can recall my mother being anxious when she knew that I was going on a long road trip and insisting that I call her as soon as I arrived, which wasn't always easy in the days before mobile phones and sometimes entailed a trek to a phone box and juggling with many coins, for a two minute call of reassurance. This is probably why, when my children are travelling anywhere I always ask them to let me know when they arrive. However, this is no longer necessary as in these days of super technology, I get updates via social networking sites every five minutes or so. I know exactly where they are at any given time, what delays they are experiencing at airports, on motorways or when they stop for refreshments. This is great - the only problem being that they sometimes forget to let everyone know that they have actually arrived, so I am left suspended - are they really still at the services stop on the M5, or still waiting for their luggage at Lanzarote airport? They do remember eventually and I breath a sigh of relief and relax, until the return journey! 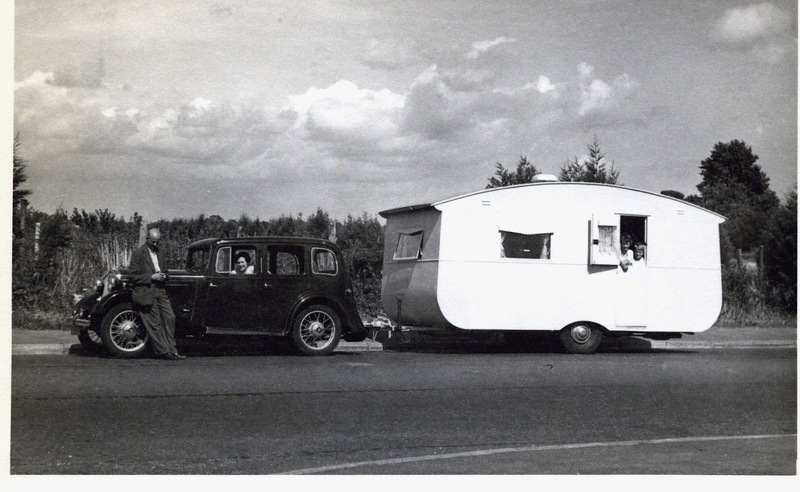 The photo (C 1952) has no relevance to my comments above but I guess that my parents had to reassure my grandparents that we had arrived safely at our holiday destination. Oh wow, what a great photo! ADD 215? is that right? Any more like that in your archives? Yep, your memory is good - ADD 215!! There is one more old photo here http://www.flickr.com/photos/supine39/6476387145/in/set-72157622179953507/and I have a couple more which I'll email to you.